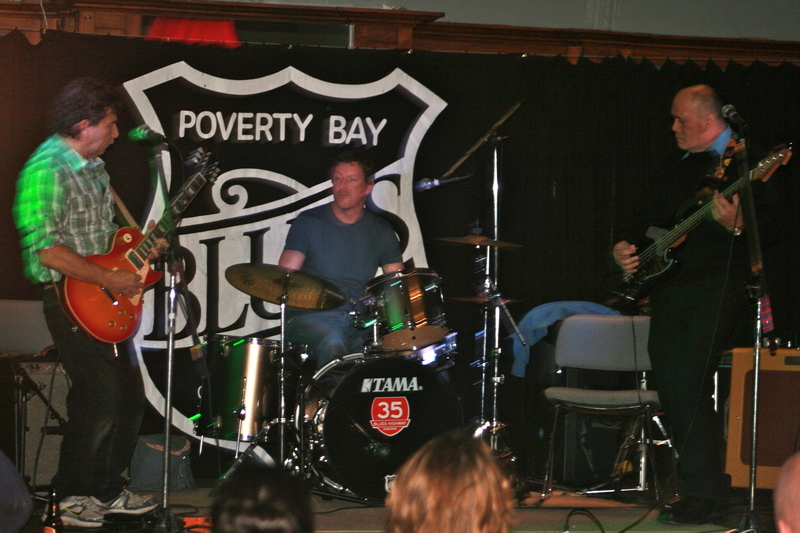 Recently we held the AGM for the Poverty Bay Blues Club Inc and as part of that process I was called upon to present the Presidents Report for the year, here we go…..
That’s the first line of our number one objective of the clubs constitution and a core part of why the club was incorporated in the first place. 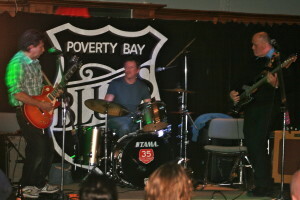 The last jam night of October 1st to me really epitomises what the club is all about and capable of – in that on the first Tuesday of every new month, the stars align, the folk show up, and the institution that is the Poverty Bay Blues Club and “Tuesday Blues Day”, cranks out a night of fantastic blues music and a whole bunch of people, get to go home feeling a little bit better off for being alive and for having had the very distinct pleasure of experiencing world class, quality live music in a magical environment – that’s why we do this right? I believe the club is in good spirits, and despite a few early problems “getting out of the gate” this year, we’ve made a lot of progress in lots of areas and we have been privileged to hear some great music. We enjoyed very much the Girls with Guitars gig – personally, despite not getting to sit cross legged in front of the stage to enjoy the very best vantage – I for one certainly enjoyed the afternoon – once again thanks must go to the very lovely & capable Michelle as our host at the Tata. We then did the public survey — and whilst we are still working on how to provide the free platters of Gisborne Deli foods and the strippers between the acts, as was so kindly suggested by one respondent, we confirmed that overwhelming those that come, feel they receive great value, have a tremendous time and enjoy the fact that there is a diversity of music and every jam night will certainly be different from the next – but is also an audience that appreciates the fact that club nights will always strive to be blues focused. We enjoyed a rocking performance from Swamp Thing and once again it was a pleasure to host such gracious and talented people – so rocking was the Dome Room that night, our very own mild mannered Mr Craw was even to be seen up shaking his thing….. The club purchased our own lights, thanks to the prodding and encouragement from key committee members (thankyou Ryan!) – and what a great asset they have proven to be. We’ve also did another batch of Tee-shirts, going back to the old HW35 style and these have proven to be popular already! We recently also hosted Darren Watson and once again The Dome Room was the place to be and those that missed out, well, they missed out. We already have acts confirmed for early next year and as many of you may be aware, the Blues Club has taken responsibility for running the stage over the two days at the A&P Show. In a similar vein and in close to a conclusion here, we have also undertaken providing a venue and opportunity for local musicians of any genre to have the opportunity to play to a live audience. Whilst the Friday Night Live exercise was done to support Sally in her efforts to increase custom at the Dome Room, I think there are many positive spin offs that will benefit the club through additional exposure. The events have already proved to be popular, when promoted well, and the feedback from muso’s and audience alike is positive. In a geo-political sense and not to steal any of Hamishes thunder, but I’m also happy to confirm that we’ve been approved as Tax Excempt by IRD NZ, a process that was started some 9 odd months ago and ably coaxed along by Hamish – so thanks for that Hamish. In conclusion, I myself would like to formally say a huge thank you to Club Captain, Mr Darryn Clyne, who’s constant and relentless efforts behind the scenes with the muso’s, contributes enormously to make the jam nights as successful as they are. 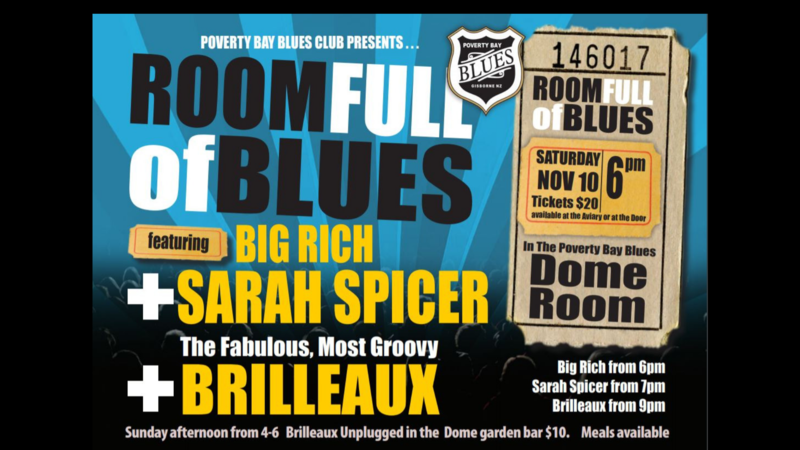 Thanks also to Deane Craw and Spellbound Radio for the fantastic job he is doing in promoting not only the Blues club but also, many local artists. Thanks for the other committee members who give their time freely to helpout – I appreciate that. Thanks to Sally and the good folk of the Dome Room for being such gracious hosts and lastly homage must be paid, to both the muso’s of Tairawhiti – you keep coming out from whereever you are and AMAZING us with your talents and vibrancy AND thanks and respect to our members and the general public of Gisborne that keep coming and making the whole experience so enjoyable. Thats my piece – thanks for listening. Posted in Blues Club Events.